Head and neck squamous cell carcinoma (HNSCC) is one of common cancers worldwide. Positron emission tomography (PET) with 2-deoxy-2-[18F]fluoro-d-glucose ([18F]FDG) is increasingly used for diagnosing and staging, as well as for monitoring of treatment of HNSCC. PET parameters like maximum and mean standard uptake values (SUVmax, SUVmean) can predict the behavior of HNSCC. The purpose of this study was to analyze possible associations between these PET parameters and clinically relevant histopathological features in patients with HNSCC. Overall, 22 patients, mean age, 55.2 ± 11.0 years, with different HNSCC were acquired. Low grade (G1/2) tumors were diagnosed in 10 cases (45 %) and high grade (G3) tumor in 12 (55 %) patients. In all cases, whole body PET was performed. 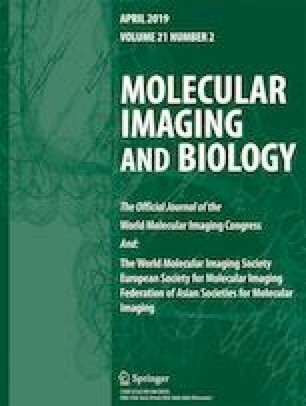 For this study, the following specimen stainings were performed: MIB-1 staining (KI 67 expression), epidermal growth factor receptor (EGFR), vascular endothelial growth factor (VEGF), tumor suppressor protein p53, hypoxia-inducible factor (HIF)-1α, and human papilloma virus (p16 expression). All stained specimens were digitalized and analyzed by using the ImageJ software 1.48v. Spearman’s correlation coefficient (ρ) was used to analyze associations between investigated parameters. P values <0.05 were taken to indicate statistical significance. P16-negative tumors showed statistically significant higher SUVmax (ρ = 0.006) and SUVmean values (ρ = 0.002) in comparison to p16-positive carcinomas. No significant differences were identified in the analyzed parameters between poorly and moderately/well-differentiated tumors. In overall sample, there were no statistically significant correlations between the [18F]FDG-PET and histopathological parameters. Also, in G1/2 tumors, no significant correlations were identified. In G3 carcinomas, cell count correlated statistical significant with SUVmax (p = 0.580, P = 0.048) and SUVmean (ρ = 0.587, P = 0.045). Associations between [18F]FDG-PET parameters and different histopathological features in HNSCC depend significantly on tumor grading. In G1/2 carcinomas, there were no significant correlations between [18F]FDG-PET parameters and histopathology. In G3 lesions, SUVmax and SUVmean reflect tumor cellularity. AS drafted the manuscript and participated in the design of the study. HJM participated in the design of the study and coordination and participated in the histopathological analyses. AKH performed the histopathological analyses. KW performed the statistical analysis. OS participated in the design of the study and coordination. SP participated in the design of the study and helped to draft the manuscript. All authors read and approved the final manuscript. This prospective study was approved by the institutional review board (Ethic Committee of the Medical Faculty, University of Leipzig) and all patients gave written informed consent. All procedures performed in the present study involving human participants were in accordance with the ethical standards of the institutional and/or national research committee and with the 1964 Helsinki declaration and its later amendments or comparable ethical standards. Consent for publication is not applicable for this study.